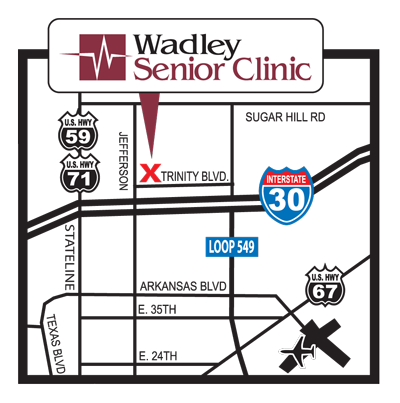 The Wadley Senior Clinic is staffed with specially trained health care professionals who are uniquely sensitive to the needs of patients 55 years of age or older. The Senior Clinic’s health care team is anchored by Geriatricians and Geriatric Nurse Practitioners who work closely with the team of nurses, clinical pharmacists, social workers and dietitians as well as the families to meet each patient’s individual health care needs. We treat walk-in appointments, both established and new patients, with minor illnesses. Call 9-1-1 or go to the nearest emergency department if you are experiencing chest pains, hemorrhaging, symptoms of stroke or paralysis. Please note: The Senior Clinic does not offer pain management or prescribe narcotic medications for walk in visits.